Every women want clear, glowing and radiant skin nowadays. While searching for some magnificent treatment for radiant skin, you may see these words pop up everywhere: Skin Brightening, Skin Whitening and Skin Lightening and you wonder what the difference between them and if there even if a difference. Well, we are here to remove your confusion so you can find the best treatment for your skin to get the results you want. Read up to find out the difference between Skin whitening, Brightening and Lightening. Well, everyone wants beautiful and gorgeous skin, who would say no to more radiance and glow? Skin Brightening is all about transforming your tired and dull skin into fresh and glowing skin. This treatment does not alter your natural skin. It is all about increasing vibrancy and radiance to dull looking skin by removing dead skin cells. When we are in our teens, our skin produce cells on a monthly basis, this is the main reason of youngster’s natural and radiant glow. As we get older, our skin cell turnover rate slows to every 40 days. This is why we need the skin brightening treatment that is useful to remove the gunk from face. It also speeds up the process of natural skin cell renewal. Skin lightening is all about to reduce pigmentation, dark spots, acne spots, sun tan from your skin and lighten the specific areas to even out your skin tone. Melanin is the reason of dark spots on your face. Skin Lightening Treatment mainly works by reducing the melanin production in a particular area. So, Skin Lightening is all about fading, be it dark spots, hyper-pigmentation or overall skin tone. To lighten your skin, you can take the laser treatment or any peeling mask. Skin whitening is a term that causes most confusion. Majority of people today wanted a white complexion. And because of that, they tend to try a lot of products. 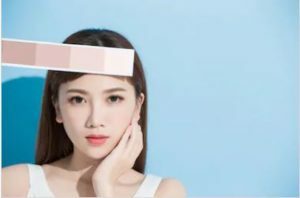 In Asian countries where white skin is prize as a beauty ideal, many skin lightening and brightening products get labelled as skin whitening products to appeal to consumers. And consumers often fall for these kinds of tricks. But you must know the difference between Skin Whitening, Skin Lightening and Skin Brightening to avoid these kinds of scams. Skin Whitening is something that falls between cosmetic procedures and dermatological ones. This is the reason why you will find Skin Whitening Treatments both in Cosmetic clinic or Dermatologist’s clinic. On the other hand, Skin Whitening product is not as effective as the treatment. 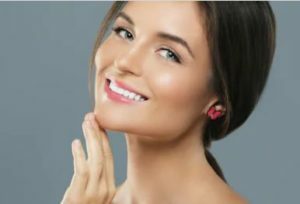 In today’s world, Skin whitening, Lightening, Brightening and Tightening treatments are gaining popularity and are most opted for. After reading this blog, you can decide what exact treatment your skin wants. But it’s important to choose the right clinic to ensure the best results. At Cosmotree Clinic, you’re in the best hands. Our dermatologist will assist you after examining your skin and the consultation is free of cost. Cosmotree clinic is best known for providing the effective Skin and Hair treatment in Delhi and Gurgaon. Schedule a consultation now! This entry was posted in Skin Lightening, Skin Treatment in Delhi, skin whitening and tagged Body Whitening, Face Whitening, Skin Brightening, Skin Lightening, Skin Lightening Treatment in Delhi, Skin Treatment in Delhi, Skin Whitening, Skin Whitening Treatment, Skin whitening treatment in Delhi. Bookmark the permalink.